November News – Witchery etc. Welp we’re nearly finished with November and after that it’s just one more month left to go in 2016- how is everyone holding up? I don’t know about the rest of you but this is normally the time of year when I start listening to the Mountain Goats’ This Year on repeat. With the conclusion of Chapter 03 I’ll be taking a bit of a hiatus before I start posting Chapter 04; in the meantime though I have a different witch-related project that I’ve been working on, and so I’ll be posting a bit about that. 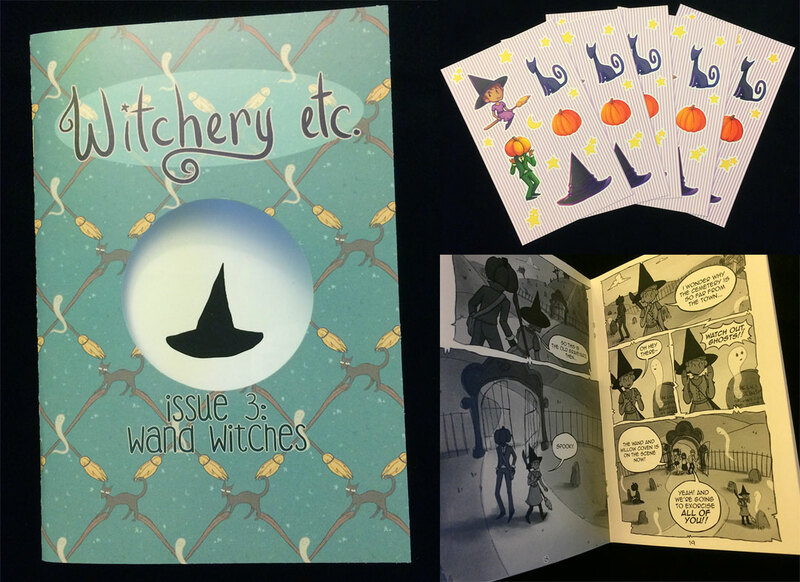 For now, there are some new things up in the online store- like print copies of Issue 03 and Witchery etc sticker sheets . Check it out!